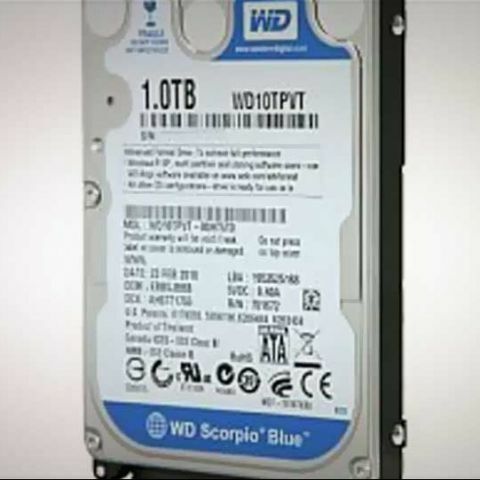 Western Digital has launched its latest, and highest capacity 2.5-inch (9.5mm) hard disk drive, the WD Scorpio Blue 1TB Mobile Drive. According to WD, the Scorpio Blue Mobile Drive is currently the largest capacity HDD available for portable computing. Designed for mainstream notebook computers, the new WD Scorpio Blue 1 TB hard drive has a 500GB-per-platter areal density, available in a two-platter (2-disk) form factor. Scorpio Blue drives are also known for their ultra quiet operation, as well as ultra low power consumption without sacrificing on performance. Other features of the new drive include, WD's exclusive WhisperDrive technology for cool and quiet operation, WD’s SecurePark for improved long term reliability, WD’s ShockGuard for a best-in-market 400Gs shock specification, and Advanced Format (AF) Technology for smooth and compatible operation. 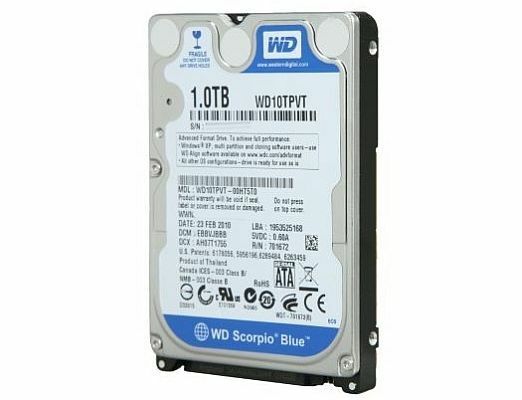 The WD Scorpio Blue 1TB (model WD10JPVT) is shipping now through select distributors and resellers. It is covered by a two-year limited on-site warranty and has a MSRP of Rs. 10,650, excluding taxes. Is WD Blue 1TB(WD10JPV) a better buy than Samsung Spinpoint M8 1TB(ST1000LM024) for my Windows 8 HP laptop?